Gorgeous New Detached Home By Sundial Homes. In The Attractive Alton Village. 4 Bedrooms With/ Ensuites. Main Level Upgraded With Oak Flooring And Staircase And Upgraded Kitchen W/ S/S Appliances And Centre Island. Living Room With Gas Fireplace. Laundry On 2nd Level. Additional Living In Loft. That's Not All! 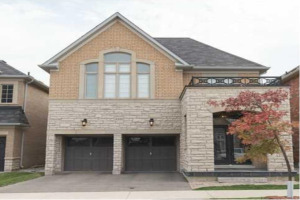 You Are In A Great Neighborhood Close To Major Hwy, 403, 407 And Go Station, Shops, Restaurants, Parks And Schools. S/S Fridge, S/S Stove, S/S, B/I Dishwasher And All Elfs.